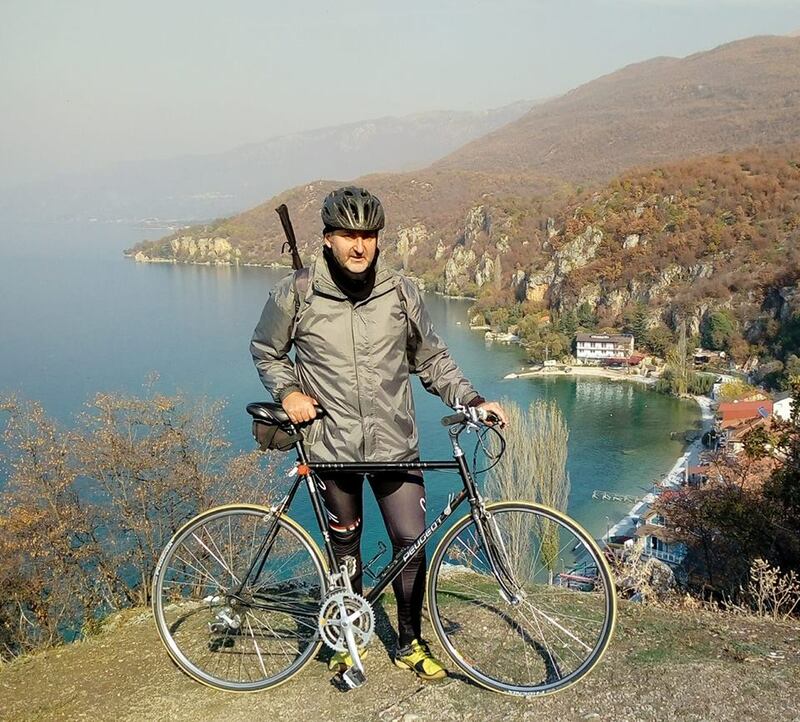 – Vlado Z35M will active as Z35M/p on the 15th of November about 8:30 UTC from Krasta, WCA: Z3-00041 during his Authmn Bicycle QRP Tour around Ohrid lake. 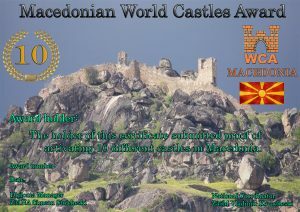 Please spot him in DX cluster if you hear. 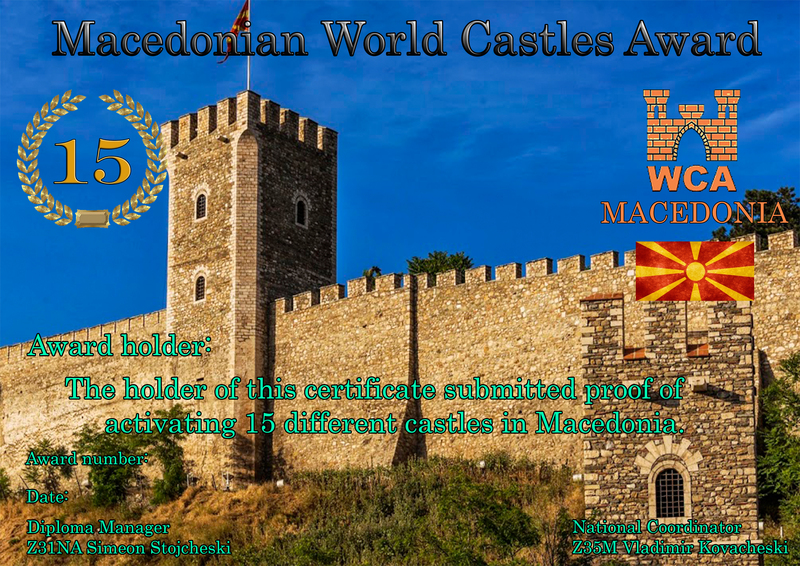 73 & 44 & 11! 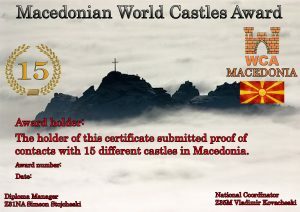 [tnx info Z35M]. 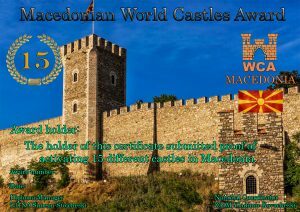 07/09/2017 – New award program – Macedonian World Castles Award! 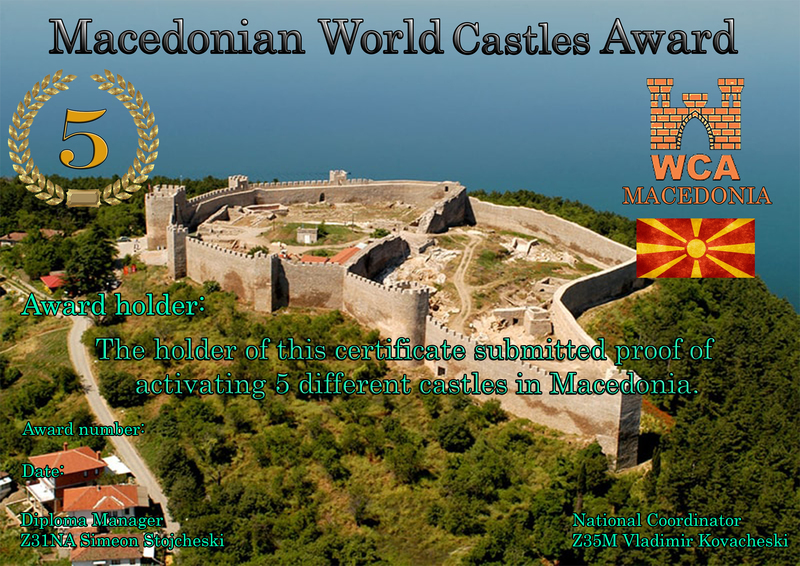 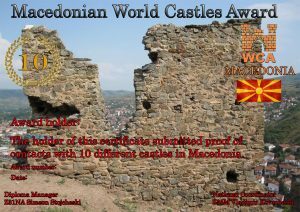 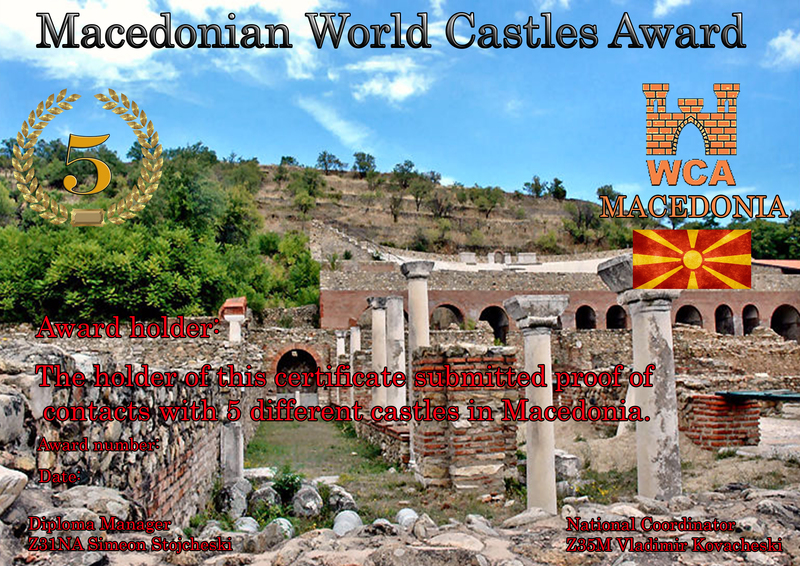 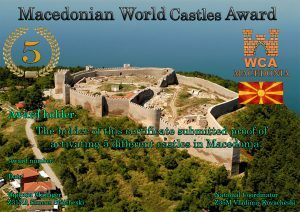 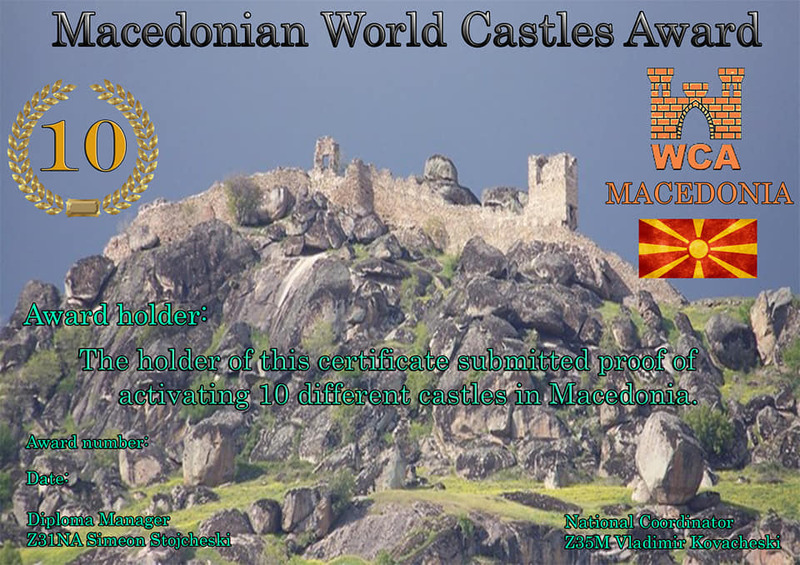 “Macedonian World Castles Awards” for hunters and activators for levels 5, 10 and 15. 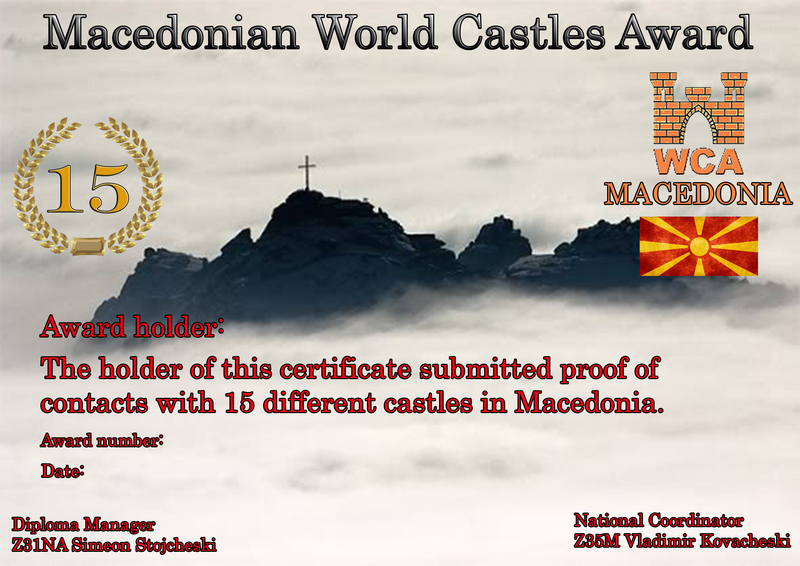 Awards are issued in electronic form and for free.